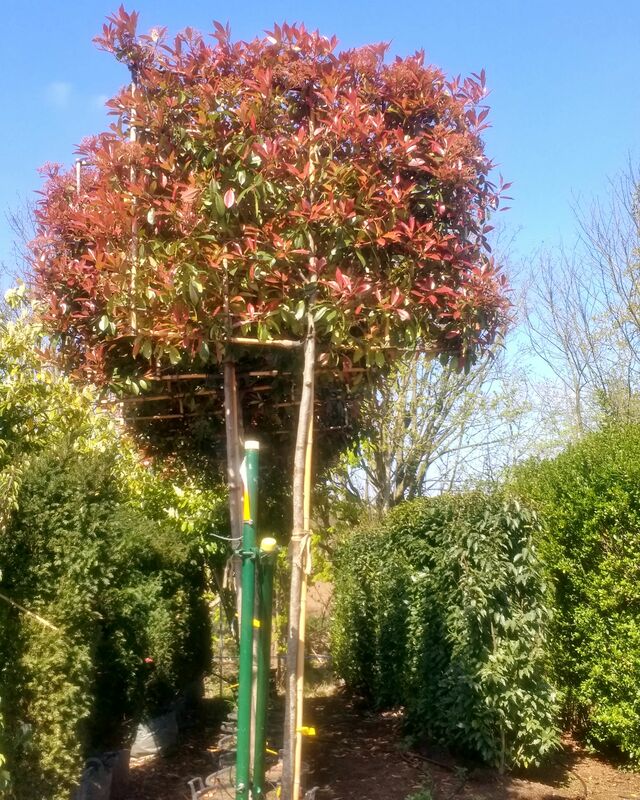 Photinia fraseri Red Robin is a versatile evergreen suited to the UK environment; it makes a fine tree with a rounded growth habit which responds well to pruning. Originally from New Zealand. 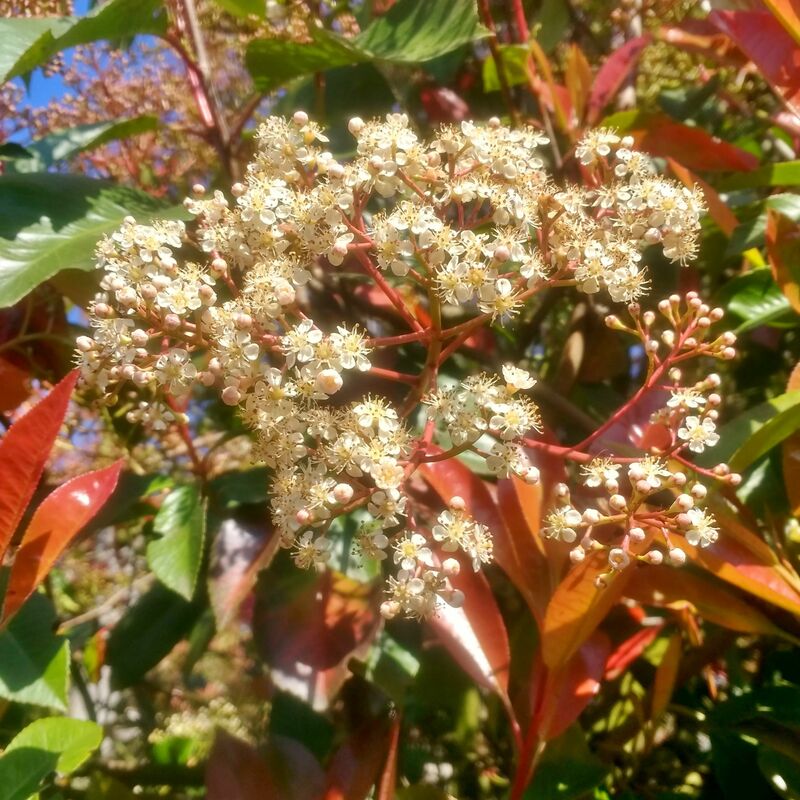 The Red Robin’s stand out feature is the vibrant red new shoots in spring, which contrast with the white blossom – unusual in an evergreen. 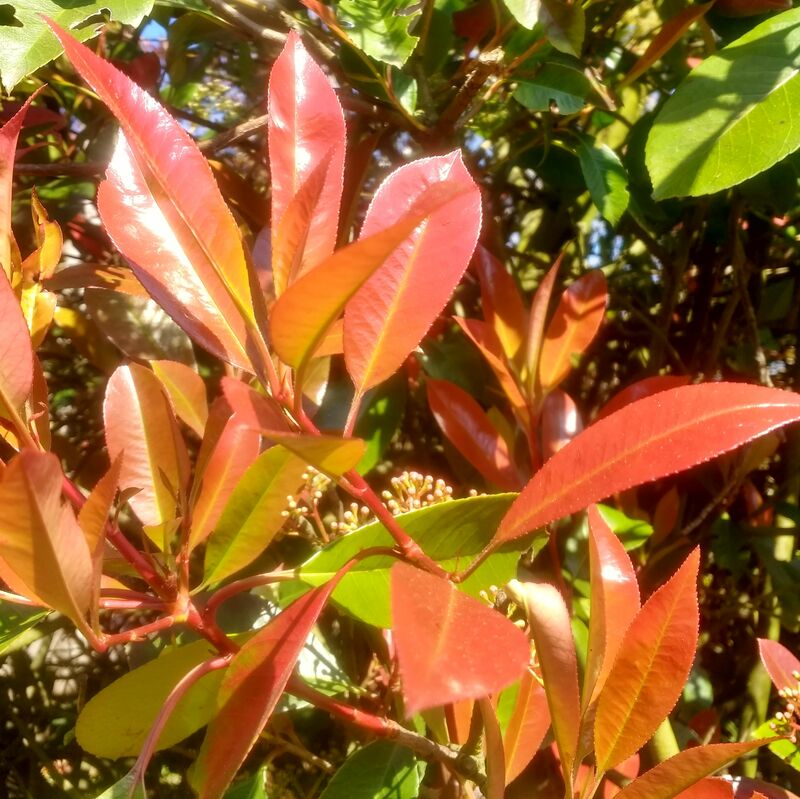 The bright new leaves change to a deep, glossy green as they mature and are complemented with small round red berries in the summer. The RHS has given this tree an Award of Merit. 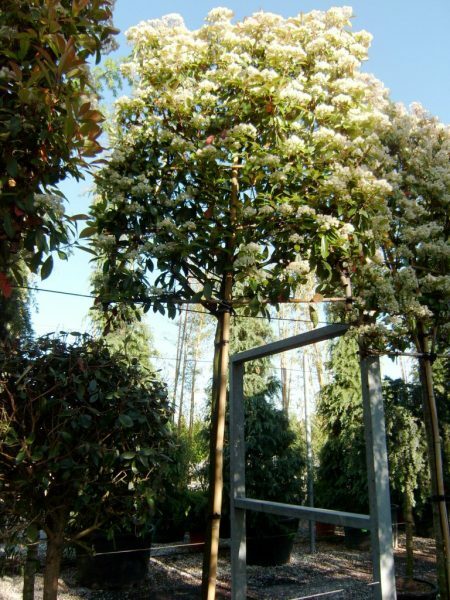 As well as this pleached version, which is useful for creating privacy and excellent for screening, we also this versitile evergreen as a full feathered tree, as a standard clear stem tree and as an instant hedge.